These succulent plants are great displayed together around your home as a group, or indeed as individuals on their own. Related to Cacti without the prickles, succulent Aloes are resistant plants, famous for being about the most tolerant and forgiving of plants to care for and maintain, drought tolerant and easy to look after, they definitely should not be left confined to the dessert! They make lovely home decor, and are perfect for those that occasionally forget to water their plants - a perfect gift for the less green fingered. For something different why not try these dotted around your windowsills in small groups, or perfect adorning a dining table? 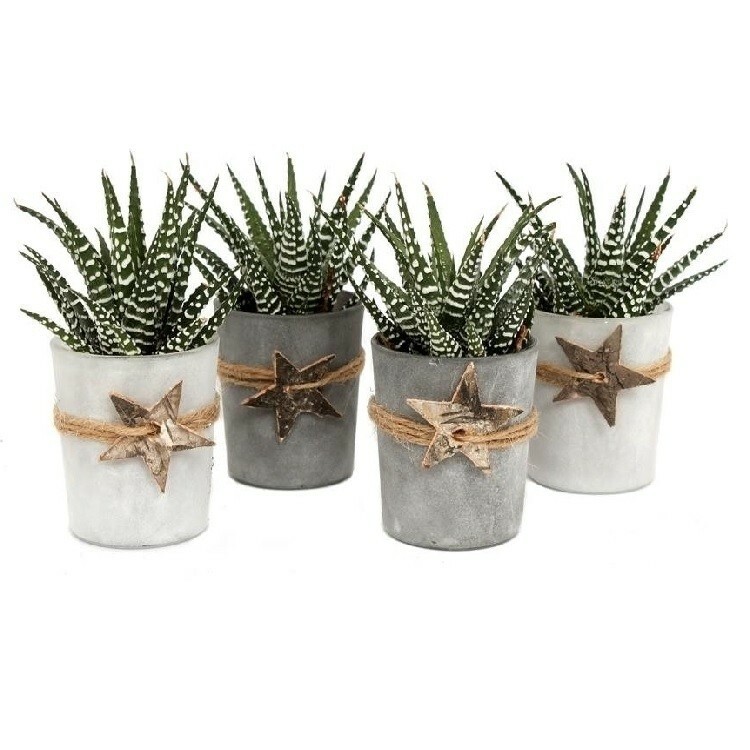 Pack of FOUR plants supplied as pictured in approx 6cm diameter frosted glass pots adorned with wooden stars, typical examples as pictured.